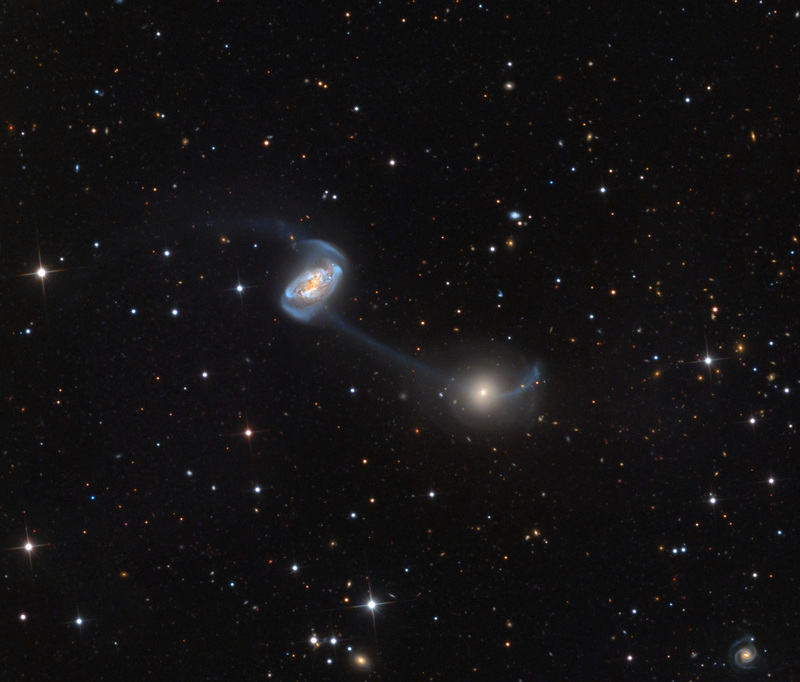 Long ago I was inspired by John Dubinski's (et al) work on galactic mergers. He created code that ran on a supercomputer to simulate the merger of the Milky Way (us) and Andromeda (nearest large neighbor) galaxies (making Milkomeda) and put together a movie as part of his GRAVITAS series. I have been showing this to the public for years. There is a point in the simulation where the resulting pattern looks (to my eye) *very* similar to NGC 5216 (Keenan system). Please see this image.Granted that the physics is correct, it is remarkable that the Universe is large enough to express examples of all potential possibilities. 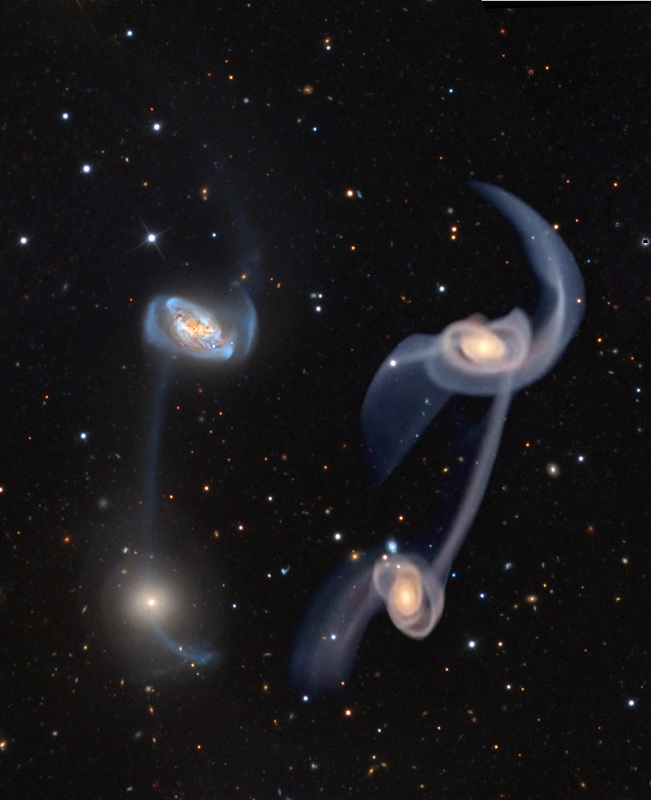 This lends credence to the idea that astrophysical computer simulations may be predictive. 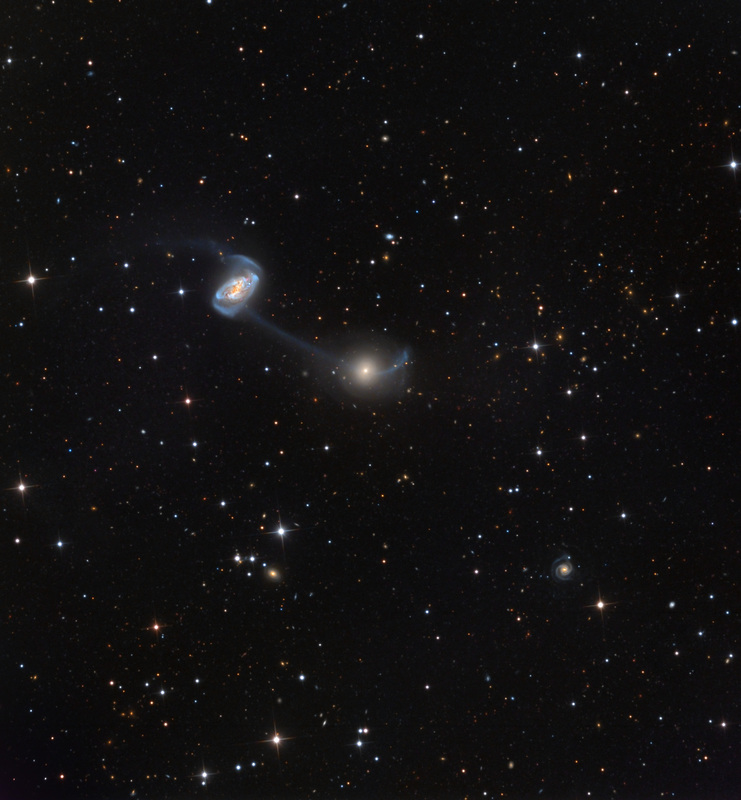 Here the tidal stream that seems to connect the galaxies with their two counter-oriented tidal tails is represented well in the comparison. This pattern exists only briefly in the full simulation ( which you should check out). I guess I do better at finding patterns in galaxies rather than clouds - unless you just see the bunny rabbit.